Inventory We are a resale marketplace, not a box office or venue. Ticket prices may exceed face value. This site is not owned by Roseland Theatre Portland . The Roseland Theatre in Portland opened in 1982 as the Starry Night and controversy followed in the 1990 murder of a club employee by the owner Larry Hurwitz. New management, Double Tee, purchased and renamed the venue in 1991. 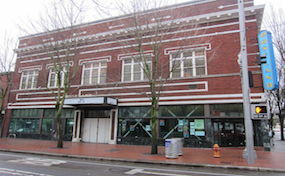 The Roseland Theatre box office is located at 8 Northwest 6th Avenue in downtown Portland, OR. The current seating capacity is 1,400 mainly general admission configurations. The Theater has become a popular concert destination for local residents to catch the hottest new bands. TheaterPortland.com is a privately held company that specializes in the online sale of tickets in the secondary market. We are not affiliated with any primary box office, supplier, or official site. Prices on our sites can be well above or below face value and have a tendency to change quickly with demand. To purchase tickets to all Roseland Theatre Portland events simply click on the show you wish to attend or call our operators at anytime.